Mr. Lu is the healthcare Partner of Sequoia Capital China since 2017. Before joining Sequoia Capital China, Mr. Lu served as a healthcare partner of Shenzhen Co-Win Venture Capital Investment Limited, focusing on healthcare investment. During his 7 years in Co-Win Venture Capital, he led over 30 healthcare investments, including: BGI, Betta Pharmaceuticals, Konruns Pharmaceuticals, Innovent, Chipscreen, Jingfeng Pharmaceuticals, Zhongankang, TINAVI, CENTRE, Baiyu pharmaceuticals, Reach Surgical, Immunochina, etc. Before Co-Win Venture Capital, Mr. Lu had 15 years of experience in pharmaceuticals sales and marketing. He worked in China Resource Sanjiu for almost ten years with rich experience and knowledge in Chinese pharmaceutical market and identifying healthcare investment opportunities. 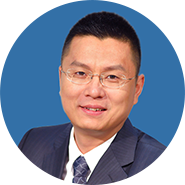 Mr. Lu obtained a bachelor’s degree in biochemistry engineering from Zhejiang University, an MBA degree from Tsinghua University and a finance EMBA degree from Tsinghua PBCSF (in reading).